Almost 1.4 million children are at imminent risk of death due to severe acute malnutrition this year, as famine threatens in Nigeria, Somalia, South Sudan and Yemen, warned the United Nations Children's Fund (UNICEF), urging prompt action to save them. “We can still save many lives. The severe malnutrition and looming famine are largely man-made,” said UNICEF Executive Director Anthony Lake in a news release issued by the UN agency. “Our common humanity demands faster action,” he underscored. According to UNICEF, as many as 462,000 children in Yemen – where a conflict has been raging for the past two years – are currently suffering from severe acute malnutrition. This figure has risen nearly 200 per cent since 2014. 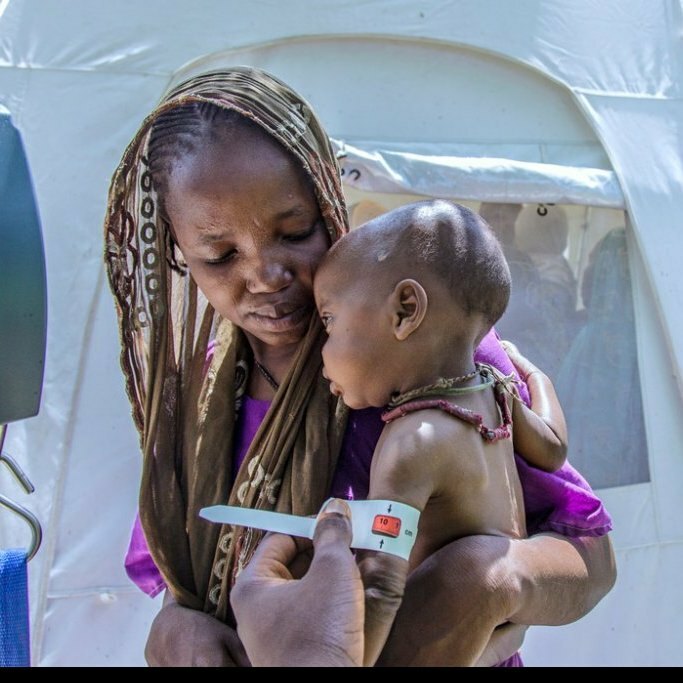 Similarly, in conflict affected parts of northeast Nigeria, including Adamawa, Borno and Yobi, the number of children with severe acute malnutrition is expected to reach 450,000. According to a famine early warning system, the famine likely occurred in some previously inaccessible areas of Borno, and it is likely ongoing, and will continue, in other areas which remain beyond humanitarian reach. Furthermore, in Somalia, droughts threaten an already fragile population battered by decades of conflict: almost half the population (6.2 million people) faces acute food insecurity and is in need of urgent relief, 185,000 among them children suffering from severe acute malnutrition. There are fears that the number could rise to 270,000 in the next few months. In South Sudan, a famine was recently declared in parts of the country, adding to a humanitarian situation already complicated due to poverty and insecurity. Over 270,000 children are severely malnourished in the country and the total number of food insecure people across the country is expected to rise once the lean season sets in. In its response, UNICEF, working with partners, has been providing therapeutic treatment to 220,000 severely malnourished children in Nigeria, over 200,000 in both South Sudan and Somalia, and 320,000 children in Yemen. However, more action is urgently needed.